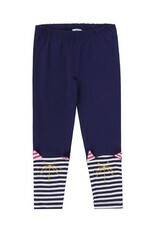 A wardrobe essential for modern kids dressing, these leggings will see you through the season in style. 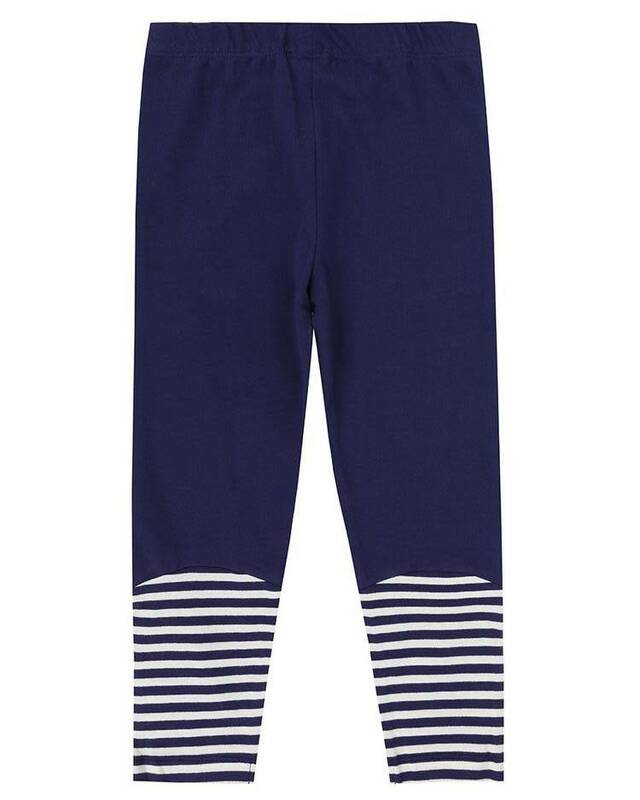 Made from soft cotton jersey they are great for layering under dresses and skirts or with any top from the collection - anything goes! 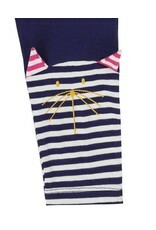 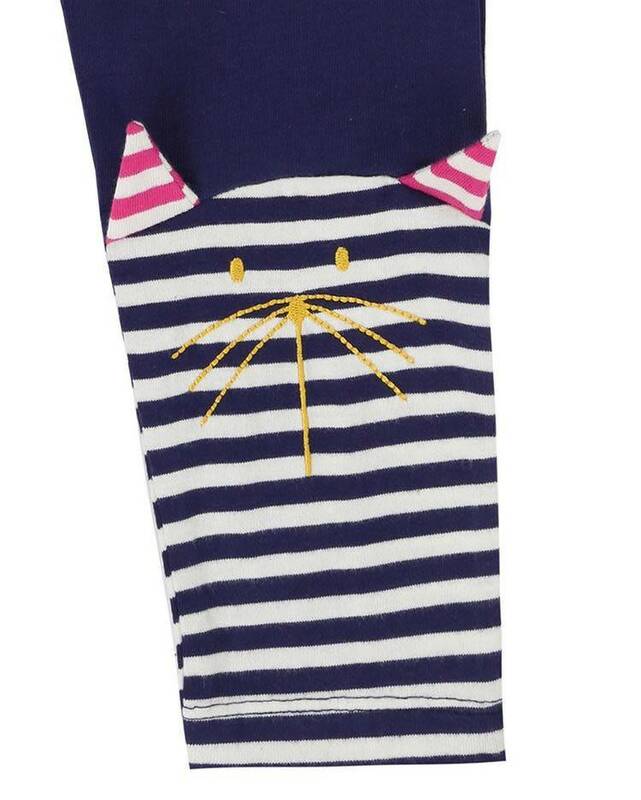 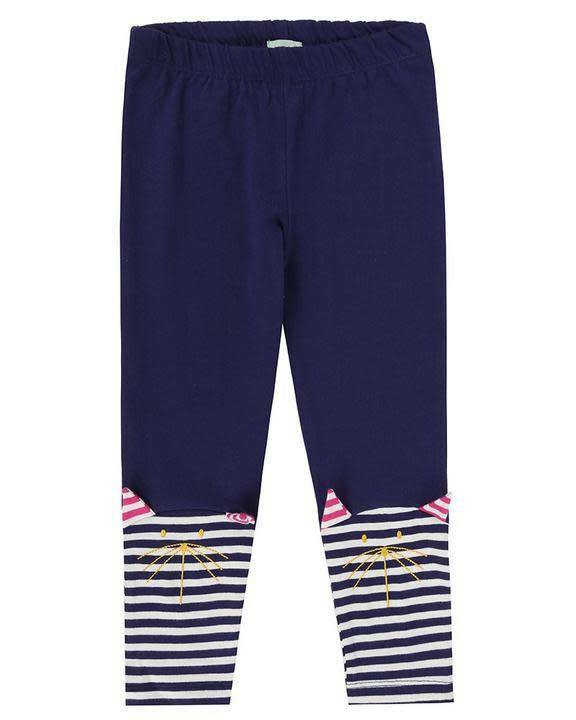 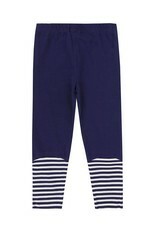 This navy option has character detailing to knees with 3-D ears which little ones will love.